Durable, comfortable, and smooth are all qualities of the Spirit Fitness CR800 semi-recumbent fitness bike. 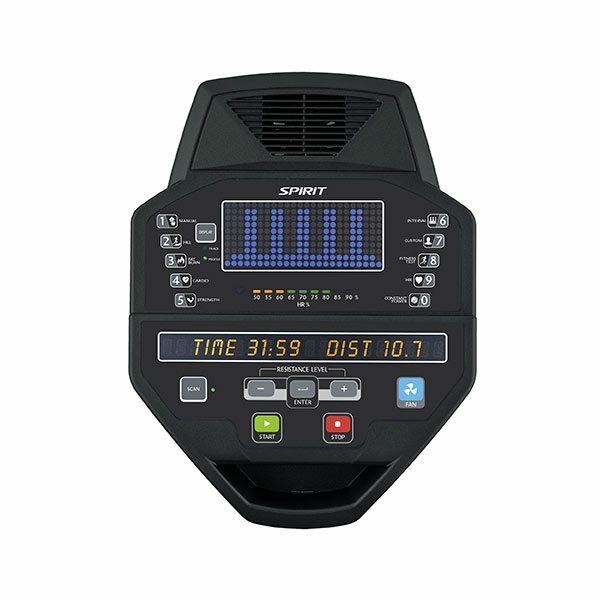 The console offers multiple programs, most with 40 levels of resistance and enough feedback information to make sure you never grow bored of the Spirit Fitness CR800. 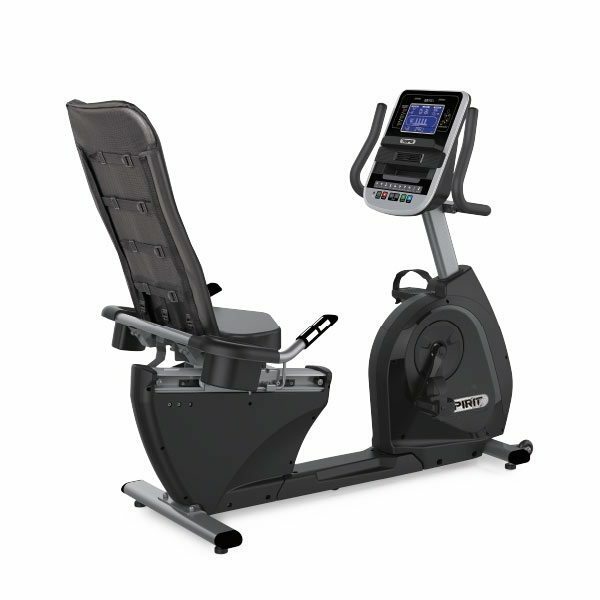 The Spirit CR800 Semi-Recumbent Bike is the perfect bike for the commercial environment. 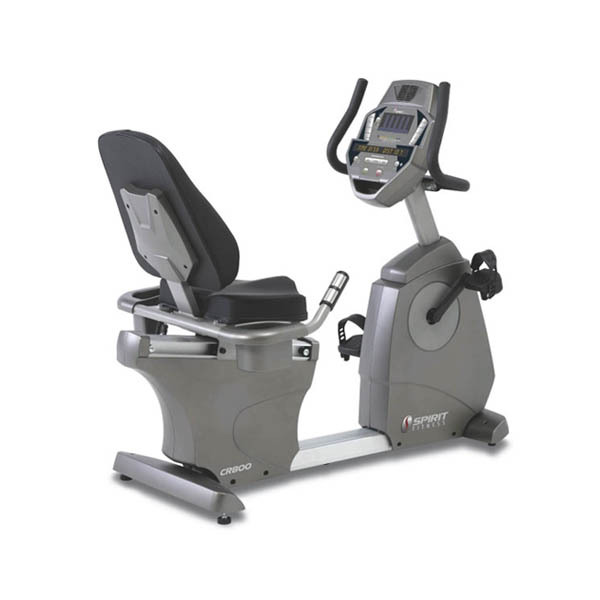 The step-thru design makes it easy for your clients to get on the bike, and the easy-adjust seat allows them to find the most comfortable position. 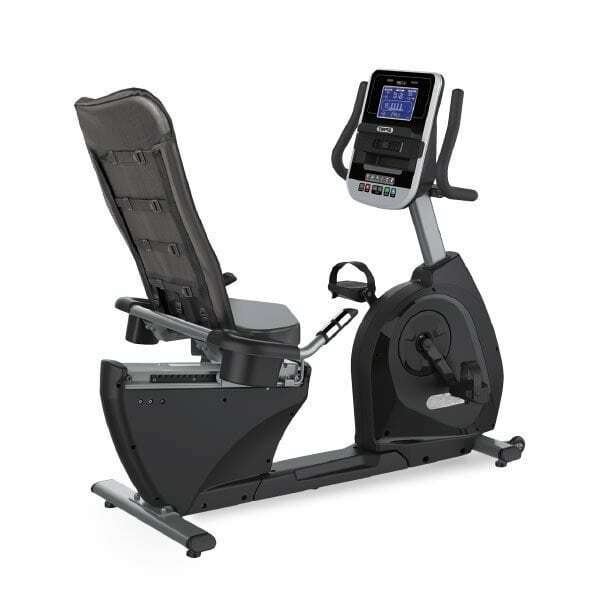 The console offers multiple programs, most with 40 levels of resistance and enough feedback information to make sure your clients never grow bored of the CR800. The extra-smooth ride comes from the perfect gearing and the integrated generator/flywheel system. 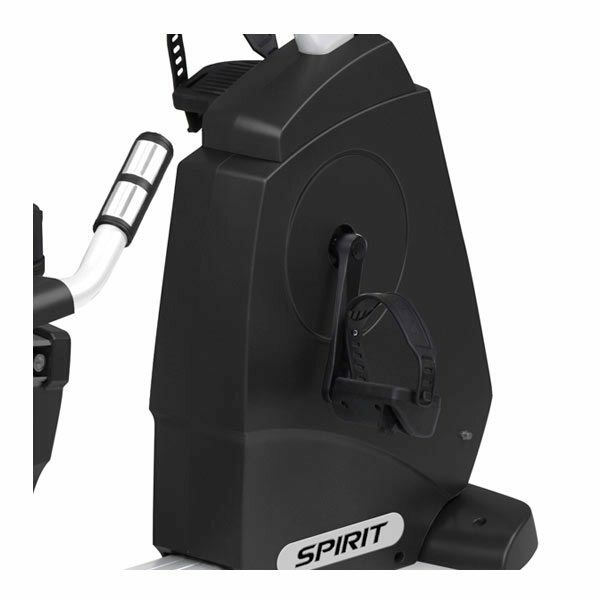 The Spirit CR800 model is very appealing to users that value a smooth ride and extensive data feedback. 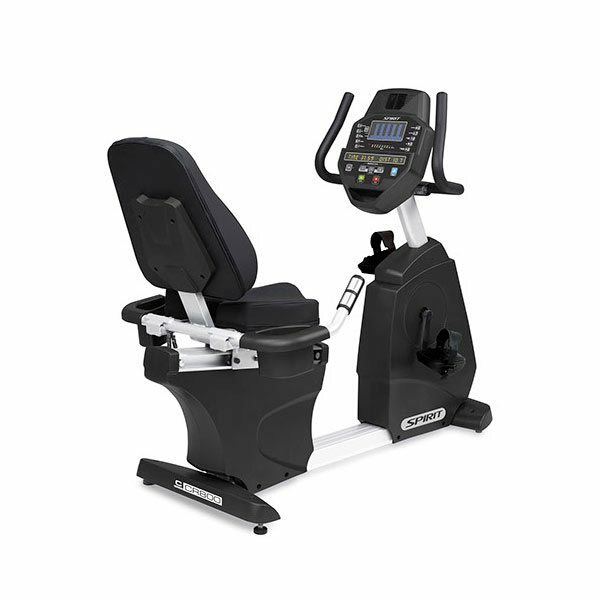 The console is identical to the CU800 fitness bike & CE800 elliptical trainer, which makes programming very familiar when using any Spirit Fitness C series products. Cooling Fan. 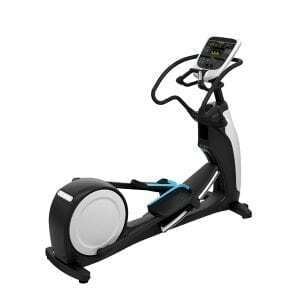 Cooling fans are standard on all of our fitness bikes. This may just be the reason individuals extend their workout by a few minutes. Heart Rate % Profile. Heart Rate training is proven to be one of the best ways to measure your workout. Our Heart Rate % Profile gives you a quick reference of your % compared to maximum projected heart rate. The LED lights up in Amber for 50-60%, Green for 65% to 80%, and Red for 85%+. Comfort. 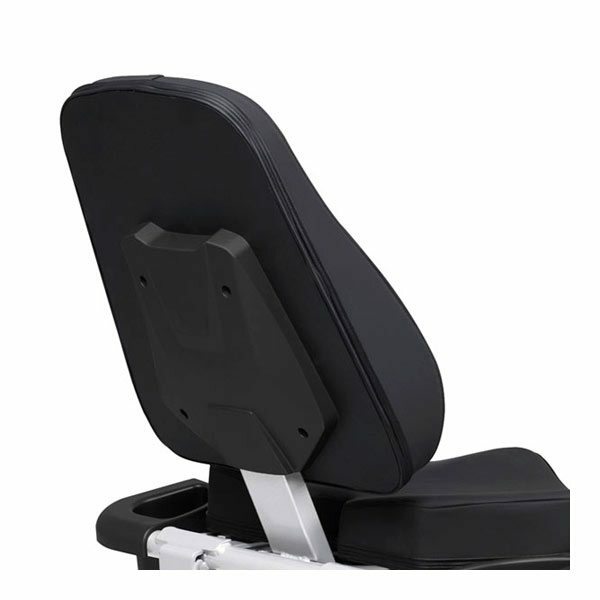 The seat and backrest are made of high durometer foam pads; the pedals are also padded for less stress on your feet. Adjustability. 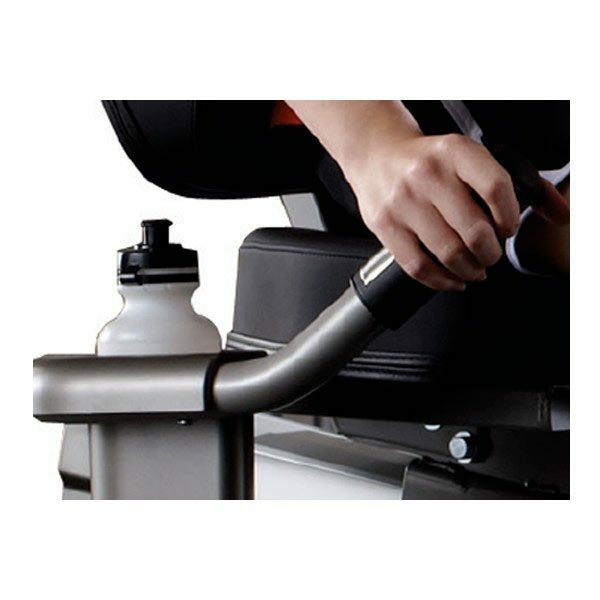 You can adjust the seat easily and intuitively by pulling up on the yellow spring loaded handle located directly in front of it. Foot Pedals. 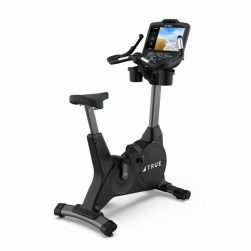 Our pedals have 2⁰ of inversion that help place your body into an anatomically correct position throughout the workout; they are also padded to take stress off of the feet. Transportation. 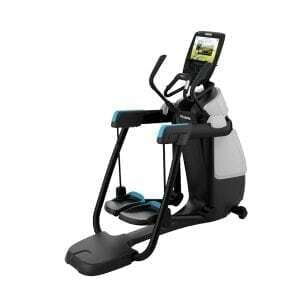 There are transport wheels integrated into the front floor support tube for ease of repositioning. Simply lift and tilt the front end to roll the unit to your desired location.